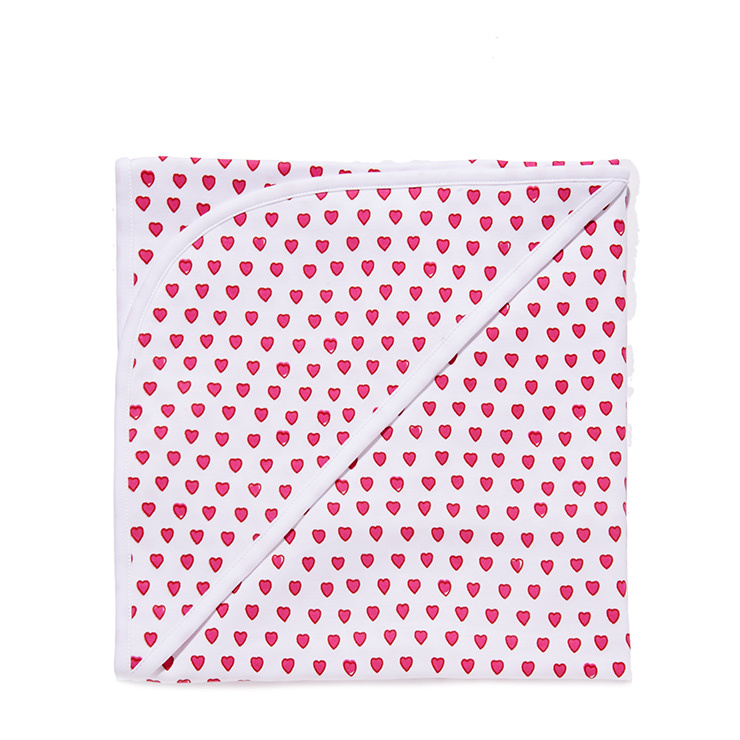 Keep baby snug as a bug with Roberta Roller Rabbit Hearts Receiving Blanket. Inspired by a scrap of found fabric in Jaipur, India, this delightful collection features colorful, hand block prints. 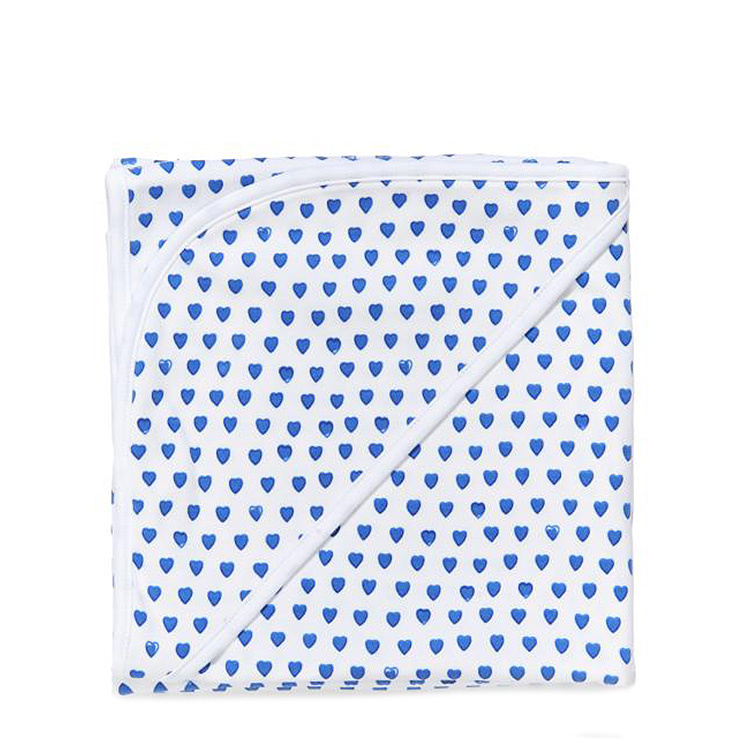 Wrap little ones in love and comfort with this beautiful blanket, perfect for home or on-the-go. Superbly soft and cushiony, makes a sweet gift for new parents. Available in pink and royal blue. Cozy and comfortable for swaddling baby. Use in bassinet, crib, or car seat to keep baby warm. Comes in two adorable colors.Made of 100% Pima Cotton for easy care.